Steenberg Vineyards present a one-night-only performance by British acoustic band Magna Carta on Saturday 6 October. 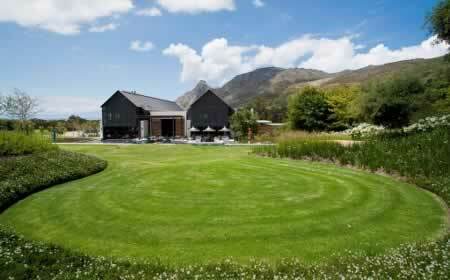 The evening concert will take place from 20:00 to 22:00 on the lawn in front of the Steenberg Tasting Room. Entrance is R200 per person, and gourmet picnic baskets-for-two will be available via pre-booking at R350 each. Steenberg offers a relaxing setting to sit back and enjoy the sound of this evergreen band that will appeal across the age divide. Guests can look forward to a repertoire of songs spanning more than forty years of writing, singing and performing by guitar maestro Chris Simpson, the founding member of Magna Carta. With the incomparable Simpson joined on stage by dynamic Dutch/Scandinavian multi-instrumentalist Laurens Joensen, the duo will perform among others the hit single �Airport Song�, and the magnificent classic �Lord of the Ages� that first put Magna Carta on the world map. This concert forms part of a whirlwind tour of their favourite South African venues, and their guitar work is reputed to be among the finest audiences are ever likely to hear. Guests can bring along a blanket, select their spot on the rolling lawn and savour gourmet goodies from the picnic baskets prepared by Chef Brad Ball and his team at Bistro Sixteen82.